Registration is now open for the 2019 Rural Locum Forum! 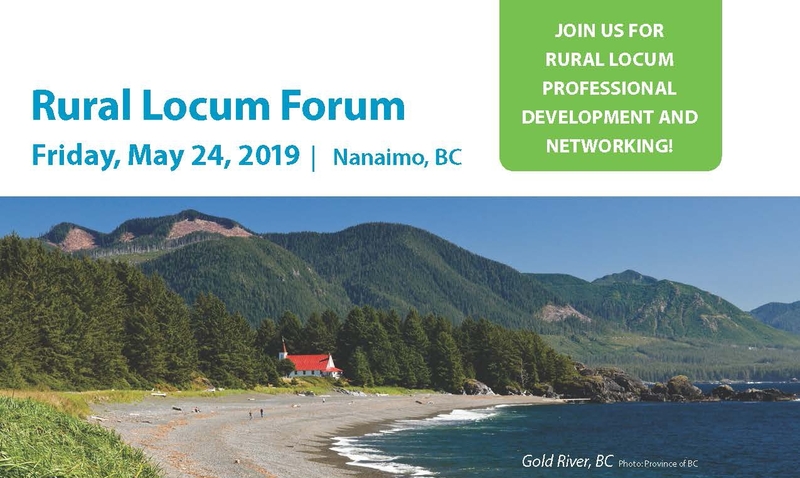 The 5th Annual Rural Locum Forum will bring together rural BC locums, recent medical graduates, experienced physicians, and rural leaders to share experiences and ideas for innovation. During this half-day program, discover the advantages of rural locuming, and be part of a unique group of rural health professionals! The event includes a networking lunch with your colleagues and rural communities. Register for this course on its own, or as part of your registration for the BC Rural Health Conference. For more information about the 2019 Rural Locum Forum, email us at conference@rccbc.ca.